Welcome to August, or “draft season” as us fantasy football players call it. While everyone’s scurrying about for the latest updates from minicamp, we’re going to examine some things that will remain constant across most drafts. This is going to be about how most seem to be approaching this season’s player pool, and how you can best capitalize off of it. 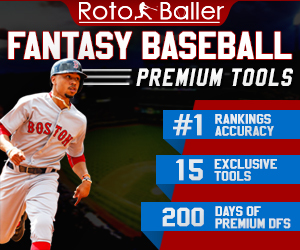 If you also play fantasy baseball then you may have seen some of our previous breakdowns regarding the psychological factors that go into drafting teams and navigating your league. If this is your first time then fear not, as the football fun is just beginning. Let’s start right at the beginning. The first thing you probably did was survey some respective rankings system. 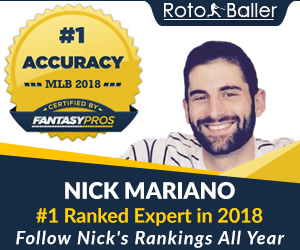 This can mean personal ranks that you created, a consensus rankings system such as our fantastic ones at RotoBaller or FantasyPros, or the default ADPs (Average Draft Position) from within the draft client. 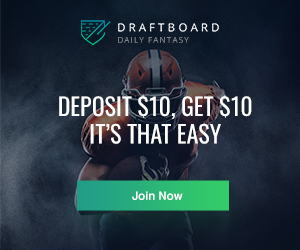 First of all, you’re going to want to be sure that you know your source, especially if you’re utilizing a site’s default ADP or mock-draft data. ADP that is parsed from mock drafts will almost always be heavily influenced by the site’s own rankings. This is due to empty slots and auto-drafters, because we all know how mock drafts can go. They rarely fill up entirely, and frequently the majority of participants have left after the exciting first few picks are over (or they troll everyone and make terrible selections). Luckily we get to parse through data from "real drafts" from most of the major sites, but that offers a whole new batch of obstacles. Let’s compare ADP data as of July 31 from Yahoo and ESPN, two fantasy-sport titans. First we’ll check in on Yahoo, and do note that Le’Veon Bell dropped in their rankings recently due to the drug-test kerfuffle but his ADP is still #5 overall. Boy, that escalated quickly. The first eight picks are perfectly parallel, with Rob Gronkowski ruining the fun by checking in at #9 on ESPN. He’s a popular fella though, so that’s sensible (Le’Veon Bell is #11). Look back and take note of how the default rankings appear to have strongly anchored those early draft picks. This writer highly doubts that it’s a coincidence that David Johnson is seen as a #3 overall pick on Yahoo, yet ESPN drafters just so happen to be selecting him a full five picks later. Five picks is a huge gap within the first round, let alone for someone viewed as a top-three pick on one site. The opposite is true for Adrian Peterson, who is the #3 pick on ESPN and yet checks in at #9 on Yahoo. There is no other reason for this outside of the ADP-anchor. I don’t want to put this out there to make you feel like a sheep, but the truth is that our brains are easily persuaded by such things when we aren’t paying close attention (and even when we are). This perfectly illustrates a cognitive bias commonly referred to as the “anchoring effect”, where we strongly rely on the first piece of data that we encounter when making a decision. 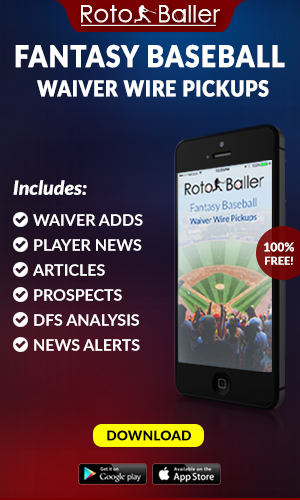 Don’t handcuff yourself to any rigid rankings, including a site’s ADP or preseason data set. While we only looked at the first 10 picks from Yahoo and ESPN, it isn’t as though your brain “shakes it off” as the draft wears on. Don’t succumb to the will of the site, which some might equate to the “appeal to authority” logical fallacy. Blindly following any site's or expert's rankings just because they are an authority on the matter is widely regarded as a bad move (that took a lot for me to admit). 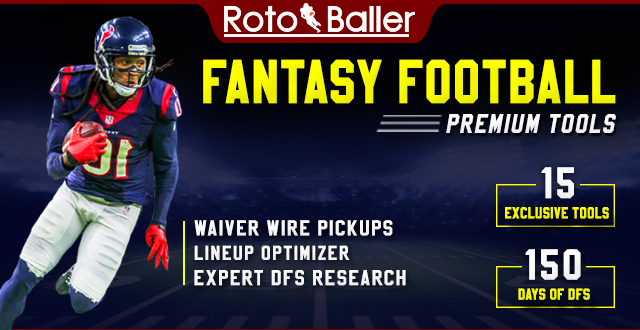 This is not meant to give you trust issues, as gathering intelligence from multiple sources is a great way to receive lots of information and viewpoints to formulate your own opinions with (might I suggest bookmarking RotoBaller's Sleeper and Waiver Wire Pickup List?). Being aware of our shortcomings as human beings gives us just another leg up on the competition, as well as helping us see how the gears in their head might be turning. Knowledge is power!